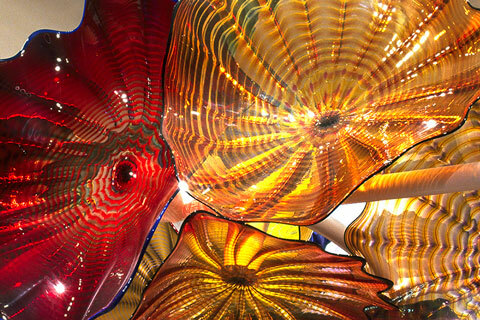 Dale Chihuly's Mosaic Persian (detail), 1998. The University of Miami's Lowe Art Museum has designated 2018 as the Year of Glass in honor of the 10th anniversary of the Myrna and Sheldon Palley Pavilion for Contemporary Glass and Studio Arts. The Frost School of Music presents Frost Music Live!, a robust schedule of concerts including the Frost Opera Theater, Frost Symphony Orchestra, Frost Concert Jazz Band, and the Henry Mancini Institute Orchestra. 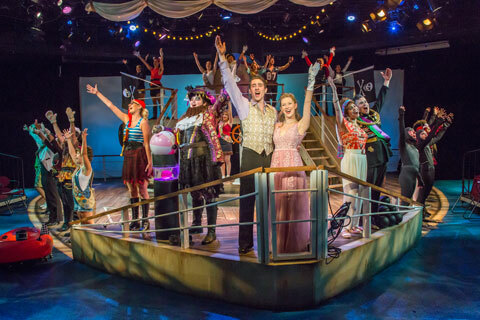 The Jerry Herman Ring Theatre wrapped up its 2017-2018 season with the Pirates of Penzance and Blind Mouth Singing. Details for the 2018-2019 season are forthcoming. 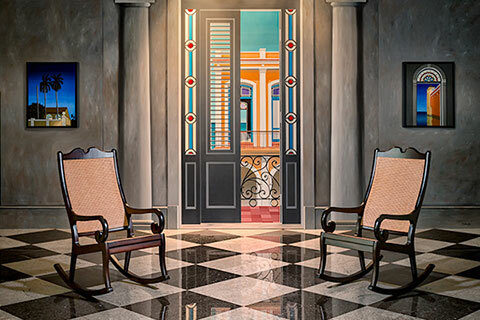 Otto G. Richter Library presents Cuba and the Caribbean, an exhibition in conjuction with a University of Miami special report that highlights the University's connectivity, research, and commitment throughout the region. 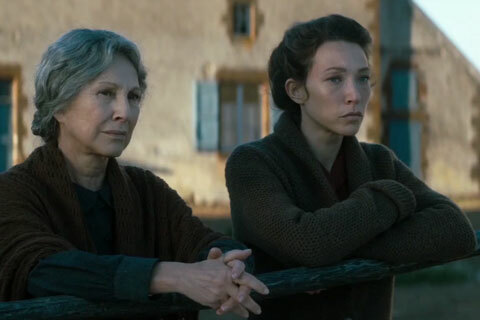 The Bill Cosford Cinema at the School of Communication presents motion pictures by award-winning filmmakers throughout the year such as The Guardians directed by Xavier Beauvois, and screenings of new works. Visit cosfordcinema.com for an up-to-date listing. 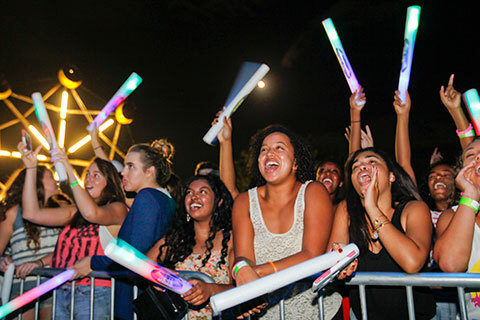 Join us for an alluring array of music, theatre, film, and visual arts at the University of Miami, where arts and culture shine! Enjoy the creativity of award-winning students and faculty in over 500 events each year. Relax in fabulous venues such as the Bill Cosford Cinema, Maurice Gusman Concert Hall, the Lowe Art Museum, and the Jerry Herman Ring Theatre. Experience classic performance works and cutting-edge premieres, as well as thought-provoking lectures, exhibits, and films that reflect the University’s youthful spirit and multicultural vibrancy. We invite you to explore all of our Arts and Culture events, or search your specific area of interest below. 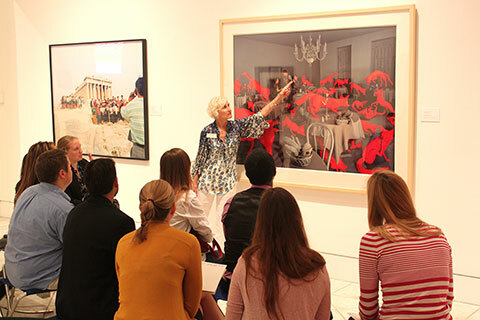 Discover one of the Southeast's most distinguished permanent visual art collections at the Lowe Art Museum, where a variety of multicultural exhibitions and special events are presented throughout the year. The University of Miami Wynwood Gallery also hosts exciting exhibits including shows that highlight the work of University students in the visual arts. Engage in a variety of contemporary, classic, and foreign films at the Bill Cosford Cinema, an art-house cinema that has served Greater Miami for more than 60 years. A screening site for the School of Communication’s annual Canes Film Festival and area film festivals, the surround sound facility also hosts filmmaker lectures and other special events. 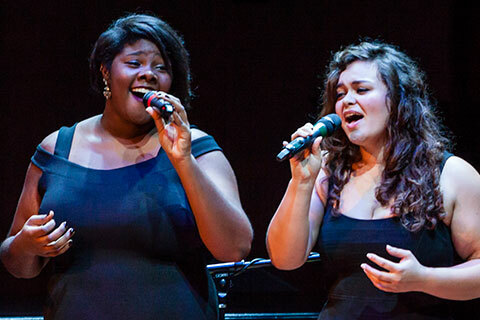 Enjoy hundreds of concerts, recitals and lectures each year presented by the Frost School of Music in a wide range of musical genres such as classical, opera, jazz, contemporary, and more. The Frost School’s prestigious Frost Music Live! Signature Series presents student ensembles and internationally acclaimed faculty and guest artists in exciting live concert settings. 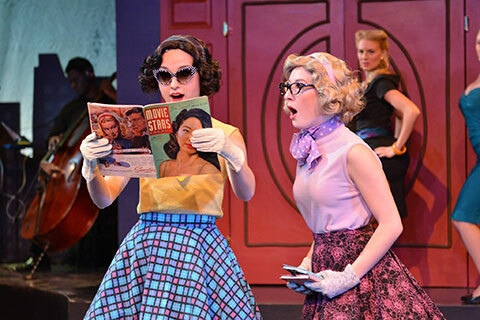 Delight in a rich season of dramatic stage works presented at the Jerry Herman Ring Theatre by students and faculty of the Department of Theatre Arts. 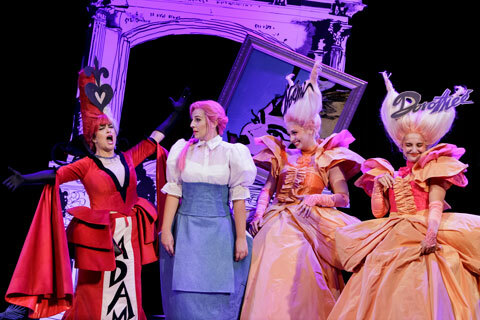 Enjoy fresh interpretations of your favorite musicals and classic plays, as well as vibrant contemporary productions, presented with unique staging, great costumes, and flexible seating arrangements. 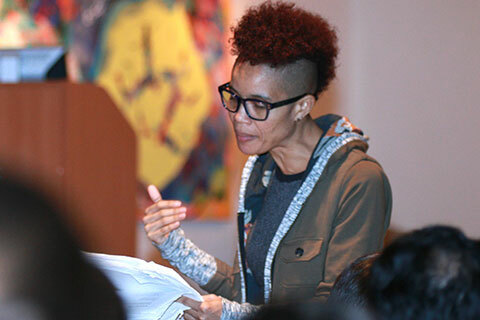 Expand your understanding of the human experience as University and guest scholars present their work, elicit critical responses, and stimulate public awareness about the humanities through lectures, seminars, and workshops. 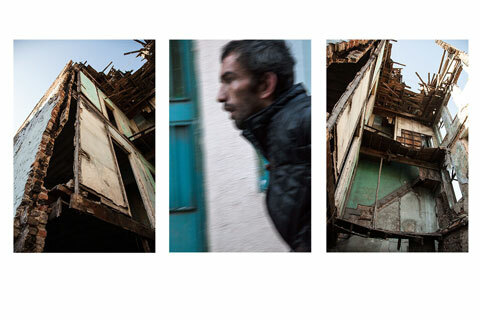 By providing mutual understanding among groups and cultures, we enrich the intellectual culture of our community. 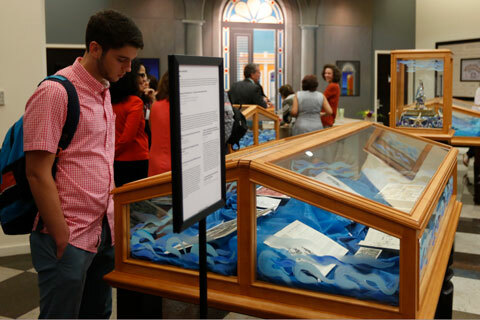 Explore the Libraries and Collections of the University of Miami through exhibitions, lectures, symposiums, and other programming on a variety of scholarly and cultural topics. Exhibitions take place year-round. From the Cuban Heritage Collection to the Marta and Austin Weeks Music Library, you will surely find events to enliven your mind. Find excitement at large-scale concerts, award shows, family events, lectures, and trade shows at this 8,000-seat on-campus multipurpose entertainment facility. 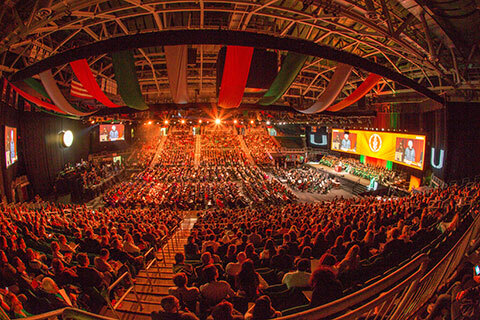 The arena is also the home of Hurricanes men's and women's basketball teams, and hosts commencement ceremonies for the University of Miami and other academic institutions. Energize your collegiate experience! 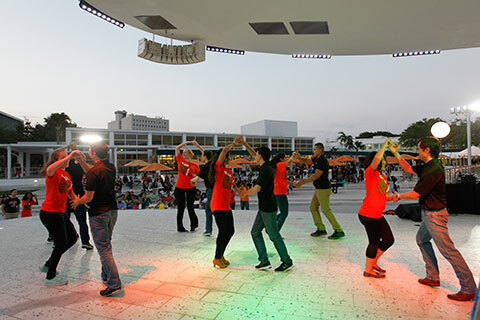 Relax at indoor and outdoor event venues including the Breezeway, Edward T. Foote II University Green, Lakeside Patio Stage, Norman G. Whitten University Center, Rock Plaza and the U statue, and the Donna E. Shalala Student Center. Students may reserve meeting rooms, the Lakeview Stage Patio, and more. 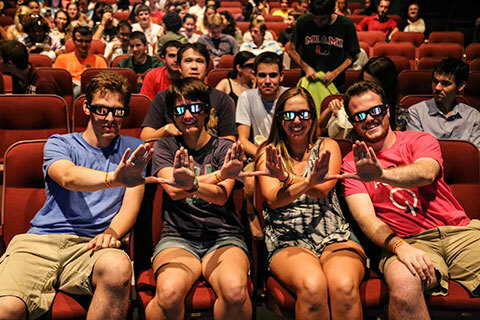 Connect with others on campus with Hurricane Productions, the University of Miami’s largest student-run organization. Hurricane Productions provides an array of free on-campus entertainment for students including indoor and outdoor movies, live musical performances, theater productions, and more! It also produces the annual Homecoming Concert.